As part of its 30th anniversary celebratory season, Vineyard Theatre will present VINEYARD CELEBRATES THE SONGS OF DORY PREVIN, a special, one-night-only benefit concert featuring the brilliant and iconic work of the legendary singer and songwriter on Monday, June 17, 2013 at 7:00 PM at The Vineyard (108 E. 15 St., between Irving Place and Union Square East). The concert will celebrate Ms. Previn’s brilliant and fiercely idiosyncratic songbook with performances by such notable artists as Tony Award nominees Malcolm Gets (AMOUR, CAROLINE IN THE CITY), Gabriel Ebert (MATILDA), Veanne Cox (COMPANY, LA CAGE AUX FOLLES), Amanda Green (HANDS ON A HARD BODY). Joining them will be superb talents Heidi Blickenstaff ([title of show], NOW. HERE. THIS. ), Michael Esper (AMERICAN IDIOT, THE LYONS), Sarah Stiles (AVENUE Q, INTO THE WOODS), Caissie Levy (MURDER BALLAD, GHOST), Phillipa Soo (NATASHA, PIERRE AND THE GREAT COMET OF 1812). Previously announced artists for the evening include Julia Greenberg (PEOPLE ARE WRONG! ), Judy Kuhn (PASSION, ELI’S COMIN’), Nellie McKay (OLD HATS), Stew (PASSING STRANGE). Jon Spurney is the evening’s musical director. The Vineyard is producing this event in collaboration with Loraine Alterman Boyle and Julia Greenberg. Tickets (on sale Tuesday, May 14th) are priced at $75 (which includes a pre-show toast in The Vineyard lobby) and are available by calling The Vineyard box office at 212-353-0303, or online at www.vineyardtheatre.org. Proceeds will support the artistic programming of The Vineyard. 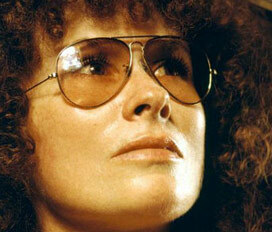 Dory Previn was an influential American lyricist, singer-songwriter, playwright and poet. During her lifetime, Previn released six original pop/folk albums of original songs, including ON MY WAY TO WHERE, MARY C. BROWN AND THE HOLLYWOOD SIGN, MYTHICAL KINGS AND IGUANAS and REFLECTIONS IN A MUD PUDDLE. She was the lyricist of several Oscar nominated songs, including “You’re Gonna Hear From Me” and “Come Saturday Morning”. After a successful period in Hollywood in the 1960s, collaborating with her then-husband Andre Previn on numerous popular songs for film – including “Faraway Part of Town” and “Theme from Valley of the Dolls,” Ms. Previn rose to prominence in the 1970s, writing and performing a remarkable collection of powerful, witty and haunting songs chronicling her own often harrowing autobiographical experiences, with extraordinary honesty, passion, humor and insight. Ms. Previn also wrote several works for the stage, including a musical version of her acclaimed album MARY C. BROWN AND THE HOLLYWOOD SIGN and several autobiographical works of nonfiction including BOG TROTTER and MIDNIGHT BABY. Ms. Previn passed away last year, at the age of 86.